For the past few months, I've been going back and forth about getting my own domain for the blog. Part of this struggle was due to the fact that I wanted to blog, but just was unsure about how much I really wanted to turn this whole thing into a ''career''. Needless to say, I realized that if I wanted to do anything (''big'') with my blog, that having a domain would be important. However, when I went to go registered runningwithagluegun.com, it had already been taken! To save you from a rant, lets just say I wasn't too happy. Now I had the option to get that same name, but it couldn't be .com. It had to be a .net, .org or something along those lines. Personally, I really wanted .com, so I decided to start thinking up new domain names. Thats where you guys come in! I realized that my blog name is already long enough so I wanted to create a domain name that was easy to say, easy to remember and easy to type into the search bar. I created a domain name survey where I listed domain name options for you guys to pick from. Its important to get your guys' feedback and thoughts, since you will be the ones searching, typing and so forth. 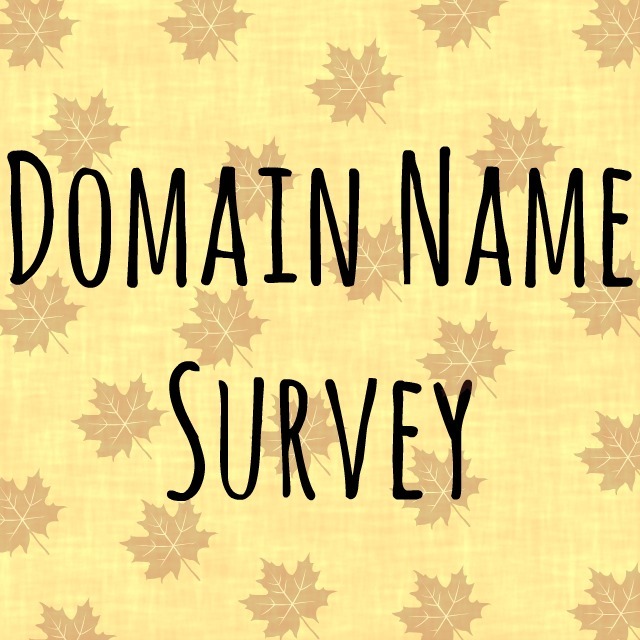 The survey is only 1 question and includes a comment box if you have any better domain name suggests. If you could take the survey for me, I would greatly appreciate it!